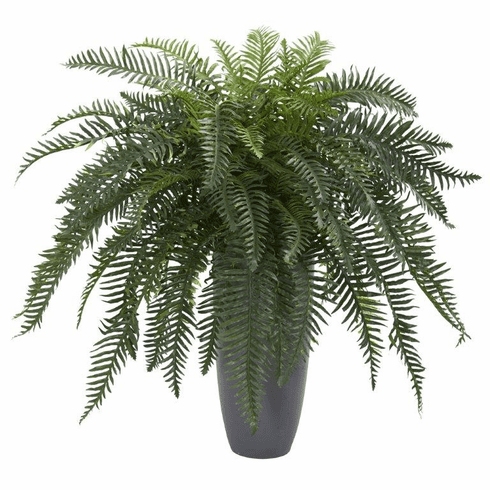 The seemingly wild, but beautifully arranged ferns of the artificial river fern plant lay elegantly over a cylinder planter. Bringing nature indoors is a grand idea, especially if you want to witness the greenery up close while you sit down and read a book. Sit this artificial fern on top of a small table with books that have colorful covers to serve as an accent piece. Size: Height: 34 In., Width: 30 In., Depth: 30 In.